In case you’ve not heard the news, November is #NaNoWriMo, or National Novel Writing Month- and in case you’re wondering, I’m totally working on a couple of books, though I doubt they’ll be done before November’s end. It’s also worth noting that November is Sci-Fi Month (A.K.A. #RRSciFiMonth), a month dedicated to, surprise, science fiction. Hosted by @RinnReads, it’s a celebration of all things science fiction- as a sci-fi author, I’m proud to participate! Today, I’ll be talking about what makes for good science fiction. A rather cold definition, but hey, that’s Wikipedia for you. In case you’re not familiar with the idea of genre fiction it is, simply put, fiction that focuses on plot (over characters) and fits into a specific genre by fulfilling certain requirements- to be science fiction, some fictional science needs to be involved. Regrettably, science fiction doesn’t always get the treatment it deserves- thanks, in part, to the Curse of Genre Fiction. This has caused some sci-fi authors to reject the notion that their works fall into the category of sci-fi. The trouble with genre fiction is that a work may fill in all the little checkboxes to categorize itself in its genre- lasers? Check. Aliens? Check. An adventure we’ve read a thousand times before? Check. Alright guys, it’s a sci-fi story, fire up the presses and push it out with the rest of the pulp novels- that’s essentially what happened with plenty of sci-fi before, and shall continue to happen into the future. It’s the Curse of Genre Fiction. This, however, doesn’t mean that all science fiction is bland, formulaic and boring! 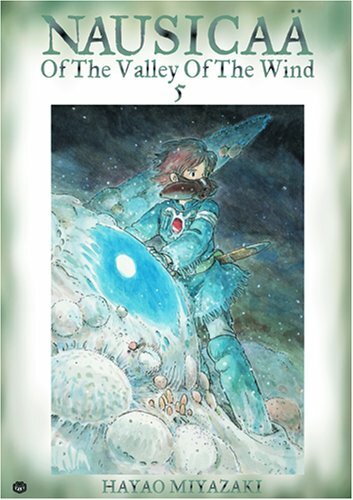 Far from it- my favorite work of literature is the science fiction manga Nausicaa of the Valley of the Wind. Nausicaa follows its titular protagonist, Princess Nausicaa, as she deals with a war that threatens to destroy her people and their entire way of life- along with the environment, and the mutated creatures that inhabit the planet. It’s a long story that was published serially over the course of twelve years, and covers some very heavy themes, such as man’s place in the world and the ethics of biological warfare- while at the same time developing interesting characters, building an incredible world and telling a great story. Overall, it’s an amazing piece of fiction- but what sets it apart as good science fiction? Indeed, what makes for good science fiction to begin with? As mentioned earlier, science fiction calls for fictional science- time travel, imaginary technology, insane scientific advances- but what makes a work of science fiction good is what said work does with these things. For instance, a story involving time travel could just feature a man going back in time, watching the pyramids rise in Egypt and going home, and it’d technically be science fiction- but would it particularly special? Without strong execution, compelling characters or an interesting plot, no. What if the time traveler had to face consequences for traveling back to ancient times? What if he accidentally erased somebody from history and had to go home to a future forever changed because of what he’d done? That’d be a good piece of science fiction because it not only involves an element of fictional science, but explores the implications- it looks at the “what if” and the “now what?” and it’s made all the more interesting for it. That’s not to condemn a work of sci-fi that doesn’t explore the implications of an imaginary technology- plenty of science fiction is really just meant to be fun, and that’s just fine by me. But for a work to fully take advantage of being a piece of science fiction, I believe that it should explore what imagined concepts and technologies can do. 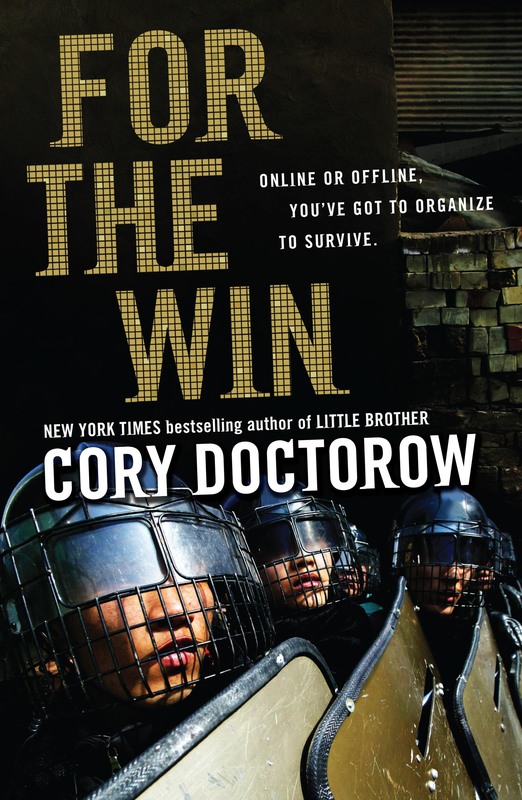 For what it’s worth, this is something that I think Doctorow’s For the Win does quite well. It’s a book about kids playing video games to change the world. Speaking seriously, For the Win is an exploration of virtual economies- what happens when things are being sold in cyberspace? How does this affect labor, what sorts relationships are created between people and corporations? While I thought the book was a little preachy at times, it’s a good example of what science fiction can explore. In my own book, I wanted to explore human cloning. What happens when we can make copies of human beings? In Me Squared, Hildan Hegennerry, the protagonist, discovers that his parents cloned him because they thought he’d be sick and, down the road, would need spare parts. In my book, Hildan’s parents had to revisit the painful ethical questions they were asking themselves when they first had their son cloned. To keep the book open to a young audience, I tried not to dwell too long on the idea that George, Hildan’s clone, would’ve likely been killed as a toddler in order to keep Hildan alive- but I was unafraid to touch on the subject. Hildan has to figure out what his relationship is to George- is he a copy? A strange friend of sorts that looks like him? Is George his brother, or does the fact that he’s a clone make him something more- does it mean that they need to have a deeper and more complex relationship than most siblings? I was able to explore the ethics of cloning, some of the philosophical implications and consider what human cloning might be used for- all in the space of a novella that I aimed at kids. Not to blow a trumpet ahead of myself, but Me Squared is good fiction- and good science fiction. It has an interesting plot and characters (adults seem to love the book just as much as kids! ), it avoids being formulaic and bland, hence being good fiction- but by encouraging audiences to consider the implications of the fictional science, it asking the questions of tomorrow in the space of today. So, what science fiction do I recommend? Well, there’s a lot that I enjoy- if you’ve been looking for good sci-fi, good news– it’s #RRSciFiMonth! If I can make the time (I’m working extra hard on my books for #NaNoWriMo), I’ll write a couple of articles on films, books, etc., and why I love them. For now, check out the list below of some works of science fiction that I really love. I mentioned this one in the above article- and I drag it into just about everything because it’s so very good. If you’re not ready to read a thousand pages of postapocalyptic brilliance quite yet, at least check out the movie, which is a fantastic introduction to the stunning world of Nausicaa, and covers the early part of the manga. There are several reasons to love Nausicaa besides those I already mentioned; the titular protagonist is a great example of a strong, well-written female character. Too often in science fiction, female characters exist simply to give the buff, manly protagonists a love interest, and don’t seem to exist outside of the heads of the male characters. This is not the case in Nausicaa. I’ve never read anything else quite like it. If you’re not familiar with the works of Ray Bradbury, Fahrenheit 451 is a good starting point. In F451, firemen set fires, working hard to destroy books. You might’ve read this book at a blistering pace as part of your school curriculum- and thus, there’s the chance you didn’t get the opportunity to give the book the relaxed reading it deserves. If the book disappointed you many years ago in high school, give it another go today. I confess, I’ve only read Foundation and Foundation and Empire, the first two books in Isaac Asimov’s groundbreaking series (I’ll get around to Second Foundation some time in 2015). Nonetheless, it’s a series I can wholeheartedly recommend. These books are set deep in the future- humanity has taken to the stars, and they’ve spread across the stars- there’s a strong and wonderful Empire that rules. Like all good things, however, the Empire must come to an end. Hari Seldon is the man who sees it coming, and makes predictions with history, psychology and mathematics, and warns of an impending dark age. In order to shorten its length, he convinces people to start working on an encyclopedia to preserve humanity’s knowledge. I’m not going to start spoiling the books for you, but I will say that I’d consider this series as a must-read. It’s thought provoking, exciting, and is very definitely science fiction done right. Time travel is a classic science fiction element, and in The Girl Who Leapt Through Time, it’s combined with a classic sort of story, namely, a coming-of-age tale. In the film, a girl discovers that she can, quite literally, leap through time- the movie explores what this fantastical ability does to her relationships. It’s a comedy and a drama, and it’s absolutely worth checking out. Part of the reason I’ve included it in this list is because most of the science fiction I’ve included is so very… Serious. Empires and the environment and censorship- it’s all interesting subject material, but it’s also quite heavy. So can science fiction that explores concepts be lighthearted and cheerful? I certainly think The Girl Who Leapt Through Time does a good job at proving that it can. Good science fiction isn’t restrained to a medium or two- while I’ve mostly written about science fiction in literature and film, there are also video games that I’d consider to be good works of science fiction- if you don’t believe me, take a look at To the Moon. To the Moon is a video game about fulfilling a dying man’s wish by traversing his memories and changing the course of his life- or, at least, the life he remembers. To quote my own review: This may be one of the greatest stories ever told in a video game. While the premise is certainly interesting, the execution is, if you’ll excuse the pun, out of this world. This game positively drips with wit, charm, humor, and emotion. The whole thing is saturated with feeling, and the story is no exception. The characters don’t feel like cheap caricatures- they feel like real people, cut out of the fabric of life itself. The game’s dialogue is simply engrossing, which is a good thing because there’s plenty of it. See also: A Bird Story, in the same series. The above are just a few of my favorite bits of a big, beautiful genre. Hopefully I can make the time to write more during #RRSciFiMonth! If you’ve not explored science fiction, now’s a fantastic time to do so. If you’re already a fan, you should check out the Hugo Award winners from this year– I confess, I’m guilty of not having read their stuff quite yet (Ancillary Justice is high on my to-read list), but I’ll get around to it eventually. That’s what I love about sci-fi, it’s such a fluid genre. It adapts so well to so many things. I love that you can have science fiction set in the past, set in the present, set millions of years into the future. Characters can still be using flintlocks, but flying around in spaceships. So many contrasts! I’d not heard of For the Win before, DEFINITELY going to have to check that out! Totally! Mr. Doctorow has actually made the book available for free- you can get it from his site.